Kristi Zea knows a thing or two about Hollywood. The long-time production and costume designer has been working in film since the early eighties (the woman designed the costumes for “Fame,” for goodness’ sakes) and her resume includes multiple projects with directors like Jonathan Demme (“Beloved,” “The Silence of the Lambs”) and Martin Scorsese (“The Departed,” “Goodfellas”); she’s been nominated for a pair of Oscars (for her art direction on “Revolutionary Road” and a best picture nod for “As Good As It Gets,” which she produced). In other words, she’s been around a while. Which is why it’s a little surprising that it has taken her this long to jump into the directing game. 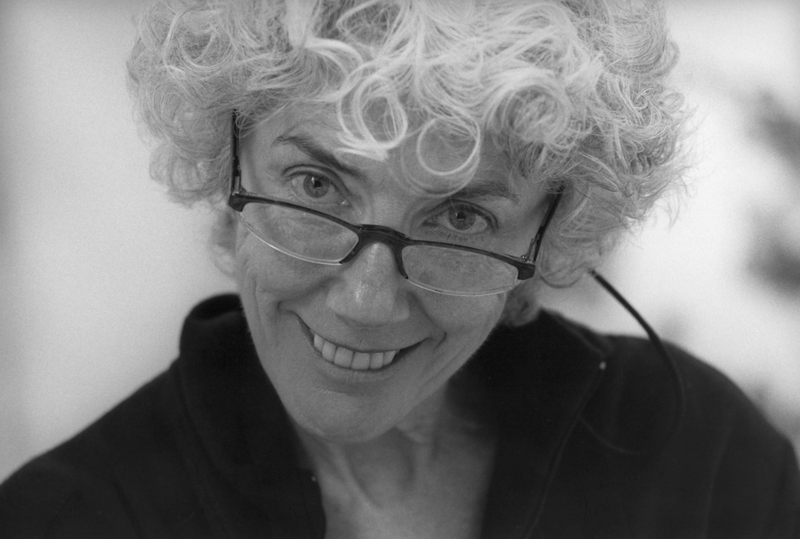 With just one other directing gig under her belt (for a 1991 TV movie), Zea can now add documentary filmmaking to her resume, as she recently premiered her “Everybody Knows…Elizabeth Murray” at the Tribeca Film Festival. Zea’s film is a deeply personal one, as it chronicles the life and work (and, ultimately, the death) of her friend, lauded painter Elizabeth Murray. For Zea, it’s more than a passion project, it’s the film she had to make. Indiewire recently sat down with Zea to talk about her career change, the personal pressures of “having it all” and her hopes for the film’s future. How did you decide that you wanted to make a film about Elizabeth? It started 11 years ago, but even before then I realized that [I wanted to make a film]. I was traipsing in the canyons of Utah when I was pregnant with my daughter and she’s turning 26. At least 26 years ago and probably more, I was walking these wonderful paths with four women: Elizabeth Murray, Helen Tworkov, Hermine Ford and JoAnne Akalaitis. These dynamic women were my walking partners, JoAnne and I had gone out there because we were fantasizing about creating a very strange off-Broadway Mormon opera, which never happened. Then we just kept going back to Utah and bringing more friends with us as we went. It became a kind of week-long dish and download, women and nature, talking about our lives, our husbands, our kids, our fantasies about our future. JoAnne told us there that she was going to run the Shakespeare festival downtown and [we said] should she take the job. It was those kinds of things that we would all talk about. Then, in the midst of it all, she got sick. She got sick just before the retrospective at the MoMA. That changed everything because suddenly we weren’t doing one kind of a movie, we were going to be doing another kind of movie. It was a hard kind of shift to do because all of her friends and people who supported her were just devastated. I was feeling like, “My God, how am I going to do this?” For a while she was doing fine and then things started to go south. She always wanted to go to Venice and I was in the middle of a movie, so I hired a team of people to go over and take pictures of her. They would send me back footage because I couldn’t be there myself. I was doing “The Departed” or something. It was crazy. “By the way, I can’t work next week. I have to go to Venice to …” “No, you can’t do that.” You juggle. That must have been very hard, not only in terms of making the film, but also personally. Not only are you juggling two projects, but you also have a daughter and a husband and all the rest of it. You are really throwing things up in the air all the time. That’s when you have to count on other people to help. I firmly believe it. It takes a village and, if you have enormous amounts of things that you want to do in your life, then you need help. You can’t do it all by yourself. What sort of impact does this story have on viewers? We screened an early, short work-in-progress version of the film up at the OMI International Arts Center in Ghent, New York and it happened when she had three of Elizabeth’s paintings being shown at the same time. There was a couple that had just come up there for the day to go wandering out in the wilds. They locked their keys in the car. They kept waiting for AAA to come and they didn’t so they came in and they watched the film. That’s one way to get them in the theater. Take their keys. What are your hopes for the film’s release? Well, there’s this wave of support that’s come out of the people who have seen the film, which is like fuel to keep going. Now you realize that there are people who want to see this and they want to see something good happen to it. I’ve always had this hope and prayer that it would come out and be broadcast. I also want it to be in museums. We’re hoping that we might be able to craft some kind of wonderful combination of screening the film and showing her work. I think once you see the film and then you go and you see her work, you’re going to have such a different impression of what that work is. Or where that work comes from. Where that work comes from, and the titles and what the titles mean in conjunction with the pieces. It’s a puzzle and the film is a key to figuring out, A) why she’s the great painter that she is, and, B) the fact that it can be done. She painted up until she died. That’s what she needed to do. Are you going to keep making documentaries? Obviously, I have to figure out what I’m going to do next and there are plenty of subjects. It’s hard to do this. It’s costly to do this. I want to consider very carefully what it is that I want to do. I’ve lived with her for the last 11 years. Now, she’s gone into the next place of out there in the universe. I’m sure there’s going to be another subject that I’ll want to do something about, but I have to get more energy. I have to plug myself in for a recharge. I think what this movie gave to me was I don’t just have to be a production designer. I’ve got this thing that I am so proud of and so happy to have done.